Do superheroes suffer from midlife crises? Of course they do. But crumbling marriages, infidelity, sulky children, and career missteps are often complicated by eccentric bad guys and 15-foot-tall lizard people from outer space. Vince Shepherd, aka Commander Invincible, is about to turn 40. In his youth he was known as the “Undefeatable Man.” But a lot has changed over the years. All the supervillains have been locked up, his first wife divorced him, his second wife isn’t happy with him, his teenage son hates him, and his superhero buddies don’t want him in their exclusive club anymore. Poor Vince. He’s been a superhero his whole life and now he doesn’t know what to do with himself. “What I wouldn’t give for a communist scientist with a stolen nuclear submarine, a mutated rhino on the loose, or a rampaging robot to smash to bits. I’d die for a baby falling from the sky,” he says. In his heyday, Commander Invincible battled criminals at the bottom of the ocean and on the dark side of the moon. These days he’s busting heads at a strip mall. Oh, how the mighty have fallen. Not only have superheroes become irrelevant, but Vince is also in danger of being downsized permanently. He’s going through an identity crisis and a Charlie Sheen-like meltdown at the same time. Vince isn’t delusional, however. He knows that he’s past his prime. “I don’t want to be a superhero forever,” he admits. But he wants to go out on his terms. And, if possible, he wants to go out with a big bang. He doesn’t want to be an object of pity. And he doesn’t want to take a job as an amusement park sideshow attraction. But more than anything, Vince wants to save his marriage and patch up things with his oldest son. The path to redemption involves a convoluted plot featuring wives, ex-wives, and children. And since this is a superhero novel, it also stars a cast of heroes, villains, and minions. It even includes a little counsel from an alien super genius. Neil Connelly is an author who is more interested in the human condition than in punch-y action. And this novel reflects that preference. But we suspect Connelly has a few long boxes filled with superhero comics stashed in his closet. 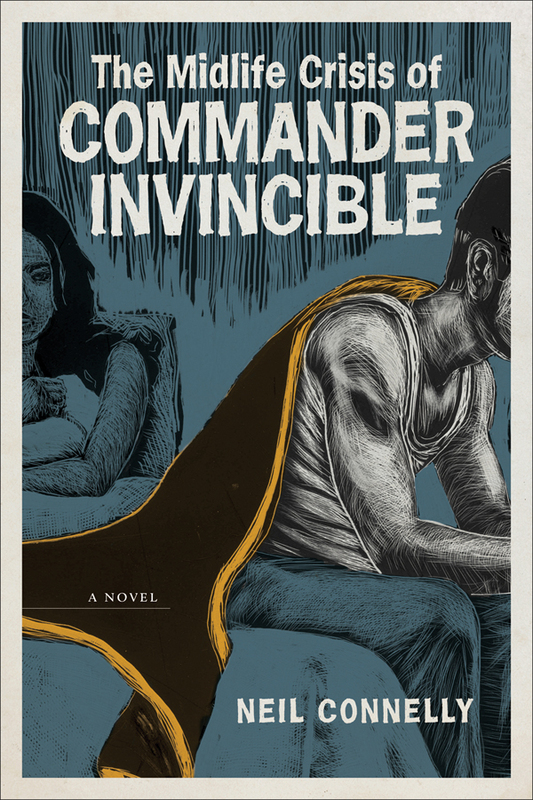 And, as such, The Midlife Crisis of Commander Invincible strikes an easy balance between literature and genre. On the acknowledgements page at the end of the book, Connelly lists a handful of comic book luminaries such as Alan Moore, Chris Claremont, Jim Starlin, and Frank Miller. He even mentions Kazuo Koike, one of our all-time favorite manga authors. Without a doubt, Connelly is a brainy guy who is steeped in comic book culture. 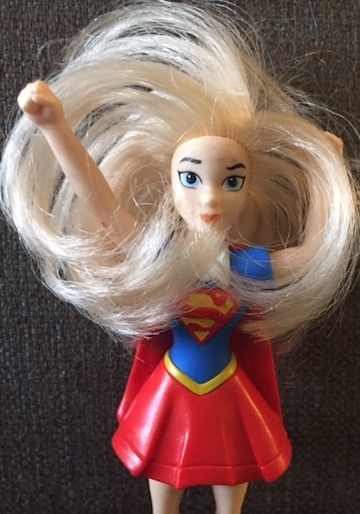 Let the era of literary superhero novels begin. This entry was posted in Published in 2013 and tagged Neil Connelly, The Midlife Crisis of Commander Invincible. Bookmark the permalink.